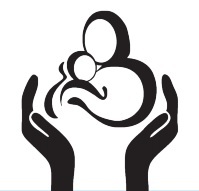 March 2014 – A new data brief issued by the National Center for Health Statistics reveals that the number of births at home and in birth centers in the United States continues to increase. The increase was greatest for non-Hispanic white women and in the Northwest. The risk profile of out of hospital births has also declined significantly over the period, which the report attributes to “appropriate selection of candidates” to give birth at home or birth center. Although the total number of out-of-hospital births is still small at 1.36%, the report predicts that if the upward trend continues it could impact maternity care infrastructure needs and costs. Refer to the CDC web site for a more detailed summary and the full report: Trends in Out-of-Hospital Births in the United States, 1990–2012. January 30, 2014 – Summit delegates Melissa Cheyney and Saraswathi Vedam are two of the authors on this landmark study. 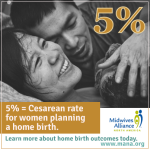 The study reviewed the births of nearly 17,000 women and found that, among low-risk women, planned home births result in low rates of birth interventions without an increase in adverse outcomes for mothers and newborns. Please visit the MANA website for additional information. There are two articles and publisher the Journal of Midwifery and Women’s Health has very generously agreed to provide free online access to the full content of both articles for this year (2014). Secure commitment at the national level to institutionalize RMC as the standard of care. The complete Guide, a summary flyer, the charter and accompanying promotional materials are available for download on the Health Policy Project site. October 29, 2013 – The American College of Nurse-Midwives, Midwives Alliance of North America and National Association of Certified Professional Midwives have collaborated to create a statement promoting normal childbirth intended for consumers: Normal, Healthy Childbirth for Women & Families: What You Need to Know. This a follow up to their joint statement, Supporting Healthy and Normal Physiologic Childbirth: A Consensus Statement by ACNM, MANA, and NACPM, issued in June 2012 that was intended for maternity care providers. The statement can be found on the Our Moment of Truth web site, a health and maternity care resource developed to provide information for American women about midwifery care. September 27, 2013 – A new analysis of national birth certificate data from 2004 to 2010 published in the American College of Nurse-Midwives’ journal, Journal of Midwifery & Women’s Health, reveals that women are choosing midwife-led, out-of-hospital births at an increasing rate in the United States. Review the abstract here. September 23, 2013 – The Institute of Medicine Committee on Research Issues in the Assessment of Birth Settings held a public workshop on March 6-7, 2013 to review updates to the 1982 IOM-NRC report Research Issues in the Assessment of Birth Settings. The workshop feature invited presentations and discussions intended to highlight research findings that advance our understanding of the effects, on maternal labor, clinical and other birth procedures, and birth outcomes, of maternal care services in different types of birth settings, including conventional hospital labor and delivery wards, alternative birth settings that may be hospital-affiliated or free-standing, and home births. Workshop topics considered research on different organizational models of care delivery, workforce requirements, patient and provider satisfaction levels, and birth outcomes. The workshop also included topics intended to identify key data sets and relevant research literatures that may inform a future ad hoc consensus study to address these concerns. 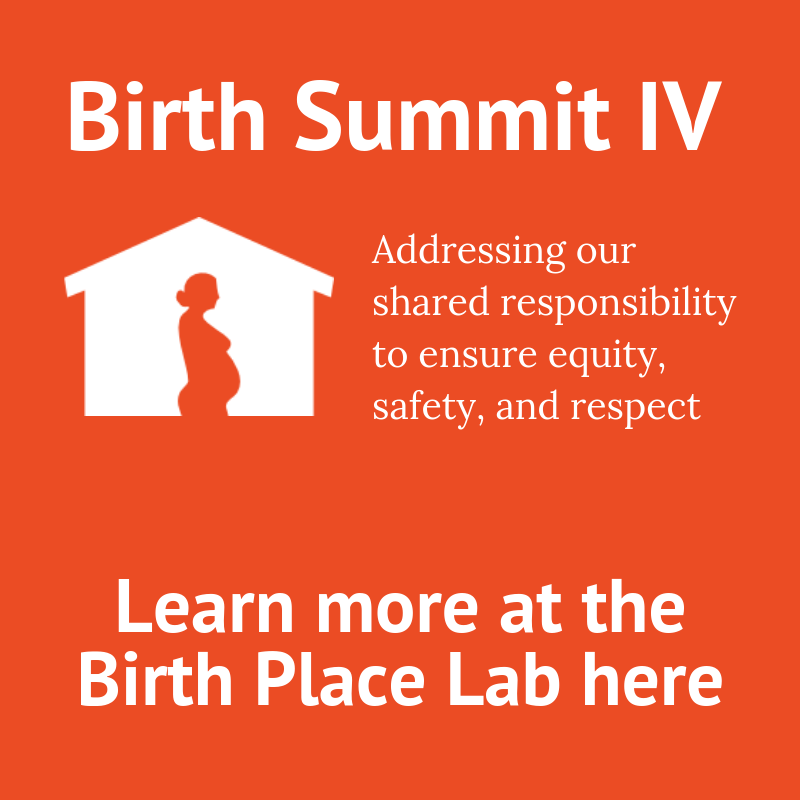 Speakers included Home Birth Consensus Summit delegates Elizabeth Armstrong, Bill Barth, Debra Bingham, Laurie Cawthon, Zsakeba Henderson, Marian MacDorman, Brynne Potter, Carol Sakala, Jane Sandall and Kristi Watterberg. Agenda, videos and presentations from all presenters can be found on the IOM page for the workshop. An Update on Research Issues in the Assessment of Birth Settings – Workshop Summary. August 22, 2013 – The Cochrane Pregnancy and Childbirth Group conducted a systematic review of 13 trials involving 16,242 women comparing women whose prenatal and childbirth care was led by a midwife to those whose care is led by a physician or shared among disciplines and found that midwife-led care has better outcomes. Refer to the Cochrane Library for the full article. July 11, 2013 – In light of the recent attention on safe birthing practices and the newly released AAP policy statement on Planned Home Births, the Association of Maternal & Child Health Programs(AMCHP) hosted a national webinar, ” A Home Birth Primer for MCH Programs,” on Thursday, July 11, 2013. The webinar was moderated by Valerie Ricker, RN, MSN, MS, Title V Director for the Maine Center for Disease Control and Prevention. Presenters were the following Home Birth Consensus Summit delegates: Marian MacDorman, PhD, National Center for Health Statistics; Bill Barth, MD, Mass General Hospital/Vincent Obstetrics and Gynecology Service, and Past Chair, Committee on Obstetric Practice, ACOG; Kristi Watterberg, MD, University of New Mexico and Chair, Committee on Fetus and Newborn, AAP; and Geradine Simkins, RN, DEM, CNM, MSN, Executive Director, Midwives Alliance of North America.Presentation slides and a complete recording are available on the AMCHP web site. 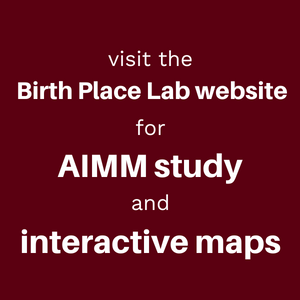 June 12, 2013 – Childbirth Connection has released the third of a series of national surveys that explore women’s experiences from before pregnancy through the months after birth. Listening to Mothers III Pregnancy and Birth released in May, and New Mothers Speak out released in June. HBCS delegates Eugene Declercq and Carol Sakala were 2 of the 5 co-authors of these studies. Reports can be viewed on the Childbirth Connection web site.